Digital Asset Management. DAM. The very sound of it is dry, dry, dry. What’s worse than a dry topic? The consequences of not making optimal use of your valuable photo, audio and video assets — or worse, not using them at all. 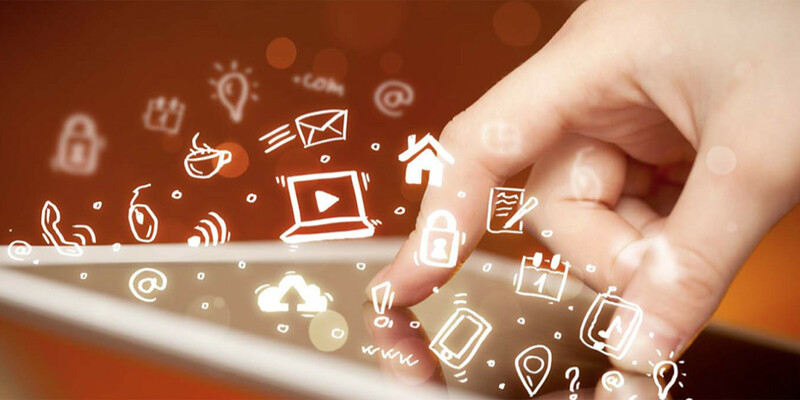 A new report from IDC and sponsored by Adobe — Proving the Value of Digital Asset Management for Digital Marketers and Creative Teams — brings the point home. Based on a survey of digital market, creative services, asset management and IT pros, the study, released today, underscores the benefits of a proper DAM system. According to IDC Vice President Melissa Webster, the lead analyst on the report, asset management is equally important for small companies and startups as for the enterprise folks surveyed. Here’s the problem: More corporate entities than you might imagine commit vast sums of money and talent to gathering creative assets for their marketing projects, only to see them wasted through inappropriate use — or no use at all. Shockingly, says the report, one-third of marketing assets go unused or underutilized. That’s despite the fact that the average organization surveyed spends days and even weeks creating hundreds of new marketing assets each year — often with dozens of different versions — costing up to tens of thousands of dollars. Manufacturers and retailers made up about half of they study’s respondents, representing a broad range of enterprise industries. 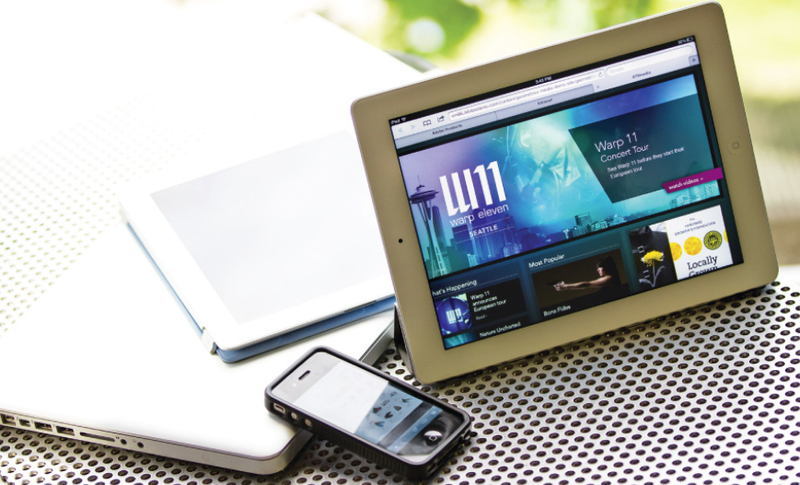 However, the same issues affect smaller companies, Webster told TNW. Great visuals are a key part of projecting a good brand image – the images, video clips and other rich media assets that make for an engaging experience. Marketers in small companies need to work with outside agencies, just like big companies do. And they need to control asset use (and ensure they’re in compliance with rights restrictions) – just like big companies do. They need the images, videos and other rich media assets they use to tell their stories to work on all of the devices their customers are using – whether large or small. Consumer expectations keep rising. In the old days, managing photos, videos and other related items was a breeze — at least compared to today. With the Internet, mobile devices and the proliferation of personalized content, the sheer number of assets needed to keep marketing projects afloat has exploded. Absent a good DAM system, companies often lose track of what they have, where it is located and under what circumstances it can be used. If for no other reason, a good DAM system is good for the bottom line. IDC found that having a DAM in place boosted revenue, reduced asset creation costs, reduced risk and increased productivity by at least 10 percent for an overwhelming majority of companies taking part in the survey. DAM was responsible for faster deployment of marketing campaigns, increasing the number of campaigns companies were capable of delivering as well as the ability to launch new products more quickly. In addition, the study found that DAM promoted better reuse of precious assets, avoiding duplication of labor and reducing waste. That’s in addition to lowering non-compliant use of licensed content, use of wrong or unapproved assets and intellectual property leaks or theft. An overwhelming majority of survey respondents told IDC that not only are they now under pressure to create and deliver campaigns more quickly, but that because of increased personalization, they need to create 10 times as many assets to support different channels. In addition, companies say that they need more insight into how their campaigns are going over with audiences — including metadata and feedback on customer engagement. 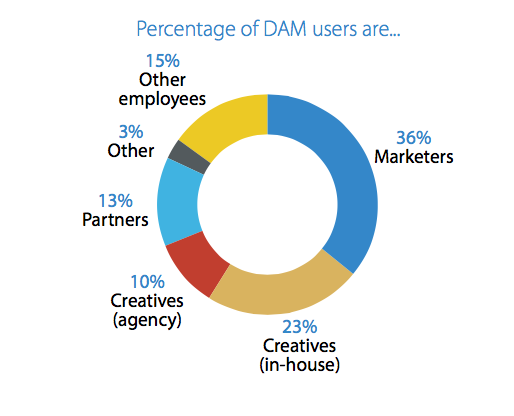 An interesting benefit that IDC found as a result of using DAM is increased variety among creative contributors. Cloud-based DAMs make it easy for diverse in-house and freelance teams worldwide to participate in high-profile projects and offer a better mix of talent. 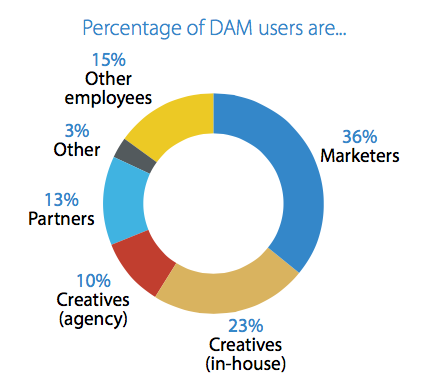 The report says about one-third of DAM users are creative pros and 75 percent of organizations say they use a mix of in-house and agency-based resources. On average, a one-quarter of DAM users are external, though that could scale to 75 percent for some companies. While the survey stops short of recommending specific products and services, it does define broad characteristics that companies should be on the lookout for. DAMs should be intuitive and easy to use, allowing creatives to contribute assets, and marketers to find relevant and approved assets. Easy, browser-based sharing is essential, alongside security, metadata, search, workflow capabilities and scalability into the millions of assets. Systems should support video and format conversions, previews and editing capabilities on images and other media. Larger companies are more likely to find value in implementing more complex workflows, especially with geographically distributed teams. According to Webster, smaller companies are more likely to gravitate to a cloud solution – partly to reduce network and server complexity and partly because they typically find subscription licensing to be more budget friendly. DAM needs a champion and, ideally, an executive sponsor — especially when there are different needs in different areas and/or fragmented budgets. Appoint a DAM leader who can work across functional areas to build the ROI case and define a phased implementation that delivers value at each phase. For companies that are outgrowing current systems — as some 40 percent of organizations are — a modern DAM solution can make all the difference. Webster expressed surprise at the number of companies now shopping for new systems or seeking to replace aging ones. I was surprised how high the percentage was of companies — 42 percent — shopping or planning to buy a DAM. It goes to show how critical DAM has become to the digital marketing tech stack – for companies of all sizes. Also, I was surprised that the percentage of companies that already have a DAM but are looking at alternatives was so high — at 29 percent. I think that reflects the new demands that digital marketers have.